We all, when wearing our frontlist buying hats, look for identifying characteristics of middle grade and young adult novels that will indicate their sales worthiness at our particular stores. The use of markups and tags in the ordering process illustrates that point. Many times, for example, a new book fills a certain cavity, a first-person narrator with a mental or physical condition not depicted before, the book contains a plot strand touching on a current social issue, or bears a striking resemblance to an established successful title, has a large print run size, a proximate author’s state of residence, and so forth. This is the coin of the frontlist realm. Given the volume of titles in that realm our superficial reliance on a book’s tagged attributes is a flawed but necessary part of the process. When looking at what really makes a book excel, however, I’m convinced that a whole different class of attributes are involved. 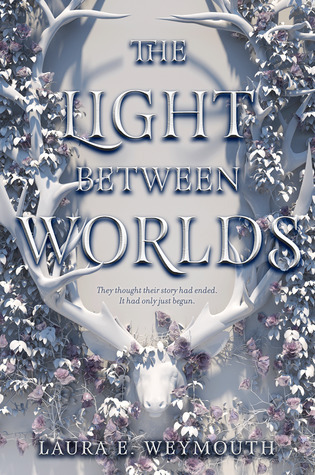 Let’s look at two YA novels coming out this fall that share a very particular quality that makes them exceptional: The Light Between Worlds by Laura Weymouth and The Brilliant Death by Amy Rose Capetta. Both of these books have numerous tags that mark their reasons for being relevant and sale-able. The Light Between Worlds deals with depression and suicidal tendencies. It also re-imagines a classic story, and has a meta element, integrating the concept of world building as an integral aspect of the narrative, a la The Magicians and The Hazel Wood. The Brilliant Death deals with a hot tag, gender fluidity, and also contains a strong self – individuating heroine, and an unusual element, re-imagining the Italian mafia in a fantasy environment. These tags indicate that the books are promising. If they were being entered in a horse race we should give them short odds. Nonetheless, we still don’t know anything about their character, the nature of their internal tides and pathways, the type of companionship they offer. The element which reveals their exceptional nature is conviction. The conviction which these authors bring to the story transforms all the other elements and makes their books gestalt. In the case of The Light Between Worlds, Weymouth brings a take no prisoners conviction to the plot, which leaves the reader standing on a tidal rock about to be subsumed by the ocean. The intellectual and emotional status quo are not options. Indeed the options lie with the reader. Does this book romanticize suicidal currents or does it affirm the real basis for them? The decision is ours. Treating Narnia as a flawed archetype, Weymouth focuses on two sisters transported to a Narnia stand in The Woodlands. One sister, Evelyn, belongs there in an absolute sense; she finds in the Woodlands what the best of our world has no analog for. The other sister, Phillipa, is shamed in the Woodlands. Upon her return to our world she uses that humbling insight to expunge her vulnerabilities. Evelyn, on the other hand, is undone by her return, and though, to the reader’s lens, her life is taking a very inviting turn she is deaf to it all. She turns her back on this world with an absolute finality that drags the reader along in her disquieting, perilous wake. Weymouth’s conviction in this story transforms its tagged elements in a manner no one could have expected. These elements are entirely secondary to the book’s signal narrative fury, a fury that overrides its faults, such as, ironically, lackluster world building, just as so much jetsam swirling in the commanding flood. It is a powerful reading experience by any standard. 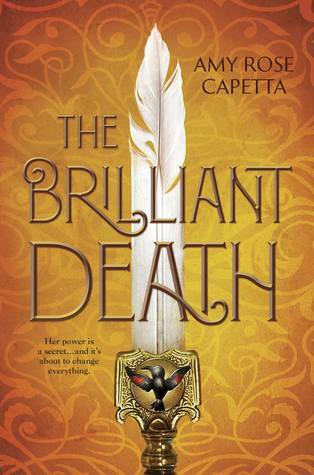 The Brilliant Death explores a world in which magic plays a stigmatized role, and the political structure is built around the Cosa Nostra but still set within the medieval kingdom type realm Diana Wynne Jones called Fantasyland. The story revolves around Teodora, a more suitable heir to the family headship than either of her two brothers. Teo, as she likes to be called, is a strega, a magic worker with the ability to transform others, specifically the enemies of her family. By transform I mean from a living person into a music box. Teo meets another strega, this one with the ability to transform herself. Cielo can literally change herself into a boy or revert to a girl at will. The two have opposite abilities: Teo can transform everything but herself, Cielo nothing but herself. To represent her family before the deadly Capo, Teo must become a boy, something she longs to accomplish. This use of magic to explore gender fluidity is both novel and effective, but what makes it exceptional is the author’s sheer conviction in the story. The book is an exploration of self-individuation in the midst of power and duty to family, which makes its underlying theme not a novelty but a force with which its reader is left to reckon. These two books are exceptional due not to their constituent parts but because of their authors’ conviction in the story. No other magic or alternate world would have done the job. This entry was posted in Uncategorized on July 26, 2018 by Kenny Brechner.